How the researchers studied on and offline activity on the internet. Internet connections mapped to human behaviour in massive study. A multi-year study of the internet has linked greater penetration of the global network with increased productivity gains and gross domestic product growth. Researchers Klaus Ackermann of University of Chicago/Monash University and Simon Angus and Paul Rashky of Monash University decided to scan the entire IPv4 address range every 15 minutes between 2006-2012 to work out what insights they could gain from humanity's mass connection to the internet. 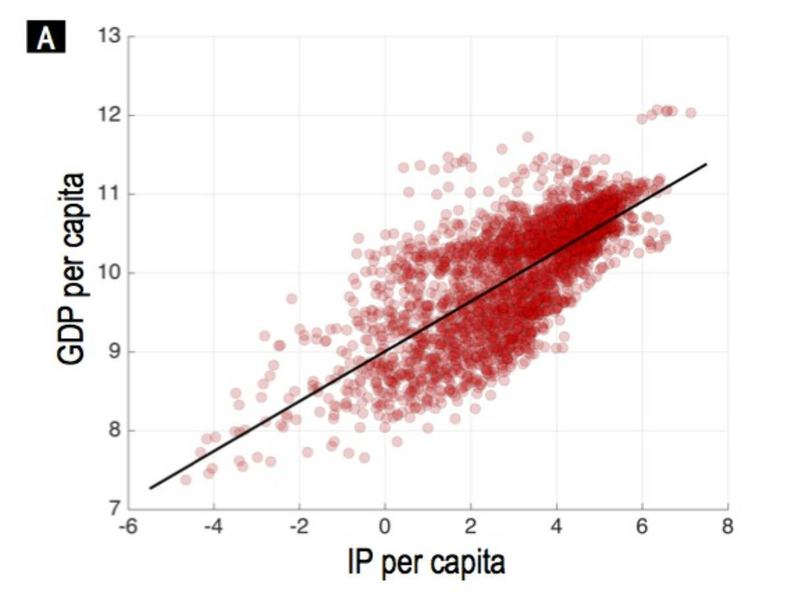 The study, The Internet as a quantitative social science platform: Insights from a trillion platforms [pdf], analysed data from 411 large regions from middle to high-income countries and found a positive correlation between GDP per capita and the number of IP addresses per head. A ten percent increase in IP addresses per capita was associated with an 0.8 percent hike in GDP, the analysis found. The researchers cautioned that the output and productivity growth they noted when the number of IP address increased was correlation rather than causation. They also said the positive association wasn't uniform across every economic sector. Service-oriented sectors - such as publishing, news, film production, administrative support, and education - appear to have suffered a negative effect from increasing internet penetration. The researchers believe these sectors were susceptible to competition from cheaper outsourcing providers. In comparison, location-constrained sectors such as mining, transport, real estate, repairs, accommodation, and hair dressing appear to have prospered through increasing local IP concentration, the researchers noted. 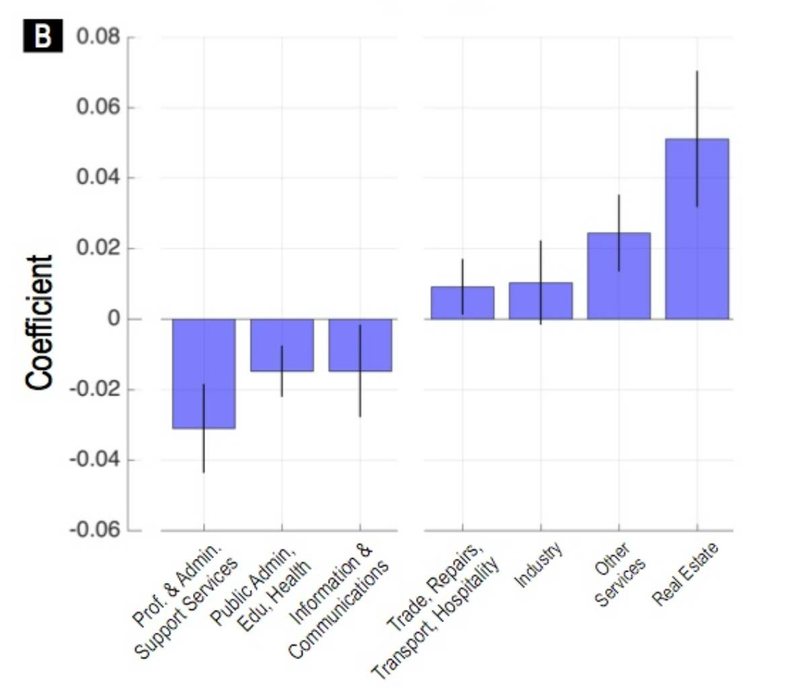 Such economic sectors benefit from lowered consumer search costs, as well as logistic and process efficiency gains, the researchers speculated. The researchers looked at the nature of internet penetration, and found that growth was initially slow but quickly ramped up in an S-shaped curve. On average, it takes 16 years for internet penetration to become saturated in a country, when growth slows down. Other, older technologies such as steam power and electricity took 100 and 60 years respectively to reach saturation. Saturation is reached when there's about one IP address for every three-person household in a country, the researchers estimated. As of 2012, only Germany, Denmark, Estonia, and South Korea had reached saturation based on that measure. Australia is thought to have reached saturation in 2015. The researchers said the internet affects the full spectrum of a person's behaviour, spanning health care, political activity, time-use decisions, and intimate human relationships. An estimated 3.5 billion individuals were online last year, accessing a global bandwith capacity of 185 terabits per second, they said. This presents a unique opportunity to use the internet as a massive, global social data science platform, the researchers said. Since each internet-connected device queries others to see if they're online or offline, the researchers noted it was possible to passively collect data without disturbing hosts on the network. As an example of the insights that can be collected using such a method, the researchers measured sleeping patterns over a seven-year period in 645 cities around the world using geo-located IP addresses. The researchers correlated offline devices with people starting their sleep, and online connections with when they wake up. They found that sleep patterns may be changing and converging around the world: Europeans slept less, East Asians more, while Americans' sleeping patterns remained static over the seven-year period. The research was in part supported by an auDA Foundation grant in 2013.